Tag Archives: Let Freedom Swing! Jury Selection: Edmonson v. Leesville Concrete Company is the winner of the 2011 CINE Special Jury Award for Adult Education and Entertainment. Previously, both Edmonson and Let Freedom Swing! won CINE Golden Eagles. Edmonson now moves on to the next level of competition as a nominee for the Masters Series Award. Last year’s Masters Series winner for Professional Non-Telecast Non-Fiction was another Constitution Project film, Yick Wo and the Equal Protection Clause. 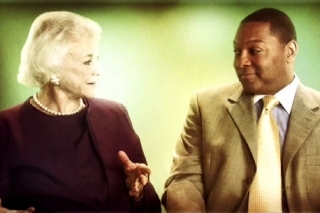 In January of 2009, a legend of American law, Sandra Day O’Connor, sat down with a legend of American jazz, Wynton Marsalis. 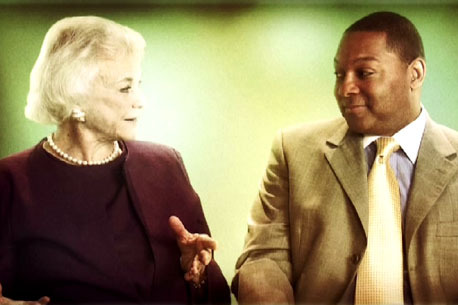 That conversation has become the foundation for Let Freedom Swing!, a new project for schools to be launched this fall. A collaboration with Jazz at Lincoln Center and Columbia Teacher’s College, with funding from the Rockefeller Foundation, Let Freedom Swing! uses video, print and web resources to explore the relationship between jazz and democracy in America. This seemingly unusual pairing of ideas can lead students to deep insights about their nation’s history and their role in society.